Tony Onyemaechi Elumelu has being adding value to the Nigerian and general Africa economic landscape for over 20 years starting from the banking sector when he acquired and turned Standard Trust Bank into a top-five player in Nigeria. Well known as a Nigerian economist, entrepreneur, and philanthropist. 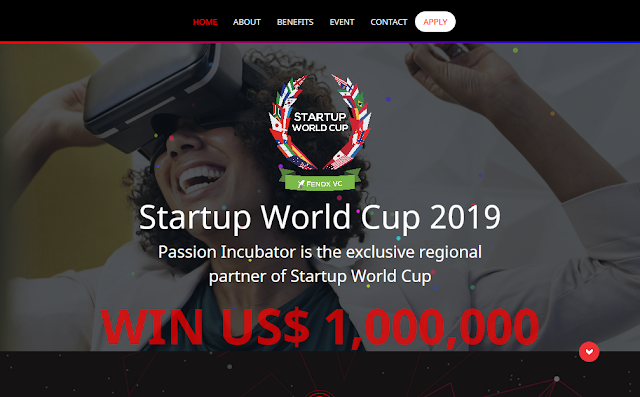 His resent initiative, The Tony Elumelu Entrepreneurship Programme (TEEP) to influence African economic development through Tony Elumelu Foundation has received world attention. A native of Onicha-Ukwu in Aniocha North Local Government Area of Delta State, Tony Onyemaechi Elumelu was born in Jos, Plateau State, Nigeria, in 1963. He has two degrees in economics from Nigerian universities, a Bachelor's Degree from Ambrose Alli University and a Master of Science degree from the University of Lagos. He is an alumnus of Harvard Business School's Advanced Management Programme where he studied under Professor Porter at Harvard Business School, a Founding Patron of The Tony Elumelu Foundation. His performance at Standard Trust Bank trigger the acquisition of the acquisition of United Bank for Africa (UBA) during the 2005 banking reform, transforming the bank from a single-country bank to a pan-African institution with more than seven million customers in 19 African countries. In 2010, he retired from UBA to found Heirs Holdings investing in financial services, energy, real estate and hospitality, agribusiness, and healthcare sectors. That same year, he established the Tony Elumelu Foundation, an Africa-based and African-funded philanthropic organisation dedicated to the promotion of excellence in business leadership and entrepreneurship and to enhancing the competitiveness of the private sector across Africa. In 2011, his company, Heirs Holdings acquired a controlling interest in the Transnational Corporation of Nigeria Plc (Transcorp), a publicly quoted conglomerate that has business interests in the agribusiness, energy, and hospitality sectors. Elumelu was subsequently appointed chairman of the corporation. Elumelu serves as an advisor to the USAID's Private Capital Group for Africa (PCGA) Partners Forum. He sits on the Nigerian President's Agricultural Transformation Implementation Council (ATIC). He is also vice-chairman of the National Competitiveness Council of Nigeria (NCCN), in which he serves as key driver in its formation, and serves as Co-Chair of the Aspen Institute Dialogue Series on Global Food Security. He additionally chairs the Ministerial Committee to establish world-class hospitals and diagnostic centres across Nigeria, at the invitation of the Federal Government and the Presidential Jobs Board, engineered to create 3 million jobs in one year. He also serves as a member of the Global Advisory Board of the United Nations Sustainable Energy for All Initiative (SE4ALL) and USAID's Private Capital Group for Africa Partners Forum. He was one of the co-chairs of the 26th World Economic Forum on Africa in Kigali, Rwanda, from 11 to 13 May 2016. Tony Elumelu was credited with the term Africapitalism. Africapitalism according to him is an economic philosophy that embodies the private sector's commitment to the economic transformation of Africa through long-term investments that create both economic prosperity and social wealth. He insists that Africapitalism is not capitalism with an African twist; it is a rallying cry for empowering the private sector to drive Africa's economic and social growth. From general perspective, his Africapitalism philosophy initiated The Tony Elumelu Foundation. His stated objective was to "prove that the African private sector can itself be the primary generator of economic development." The Foundation is charged with the mission of driving Africa's economic development by enhancing the competitiveness of the African private sector. 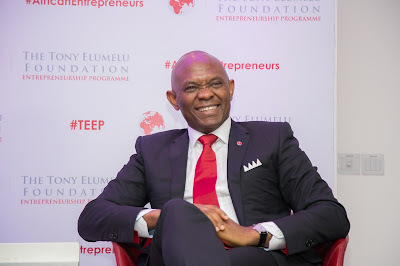 As a premier pan-African-focused not-for-profit institution, the Tony Elumelu Foundation is dedicated to the promotion and celebration of entrepreneurship and excellence in business leadership across the continent, with initiatives such as The Tony Elumelu Entrepreneurship Programme (TEEP). Tony Elumelu also subscribes to Michael Porter's concept of Creating Shared Value (CSV). CSV refers to the idea that "companies must take the lead in bringing business and society back together." 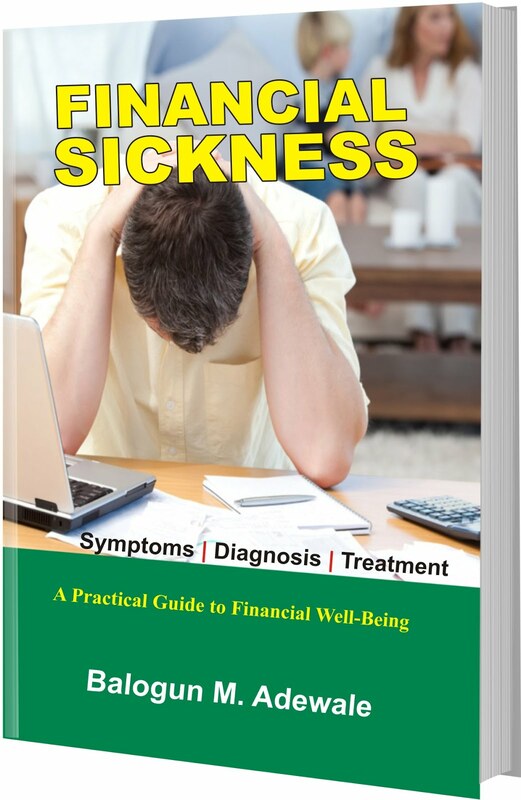 It asserts that "businesses acting as businesses, not as charitable donors, are the most powerful force for addressing the pressing issues (society) face(s)." Member of the World Economic Forum's Regional Agenda Council on Africa. He is involved, through his foundation, with the Tony Blair Africa Governance Initiative (AGI) in a partnership to strengthen the private sector's role in the economic transformation of select African countries. This partnership is called the Blair-Elumelu Fellowship Programme. He is co-chair of the Africa Energy Leaders' Group (AELG). In 2003, the Federal Government of Nigeria granted Tony Elumelu the title of Member of the Order of the Federal Republic (MFR), a national honour. Voted African Business Leader of The Year by Africa Investor magazine in 2006 and was recognised African Banker of the Year in 2008 by African Banker magazine. In 2009, the Nigerian President Umaru Musa Yar'adua asked him to serve on the Presidential Committee on the Global Financial Crisis. In 2012, he was awarded the prestigious National Honour of Commander of the Order of the Niger (CON) for his service in promoting private enterprise. He was recognised as one of "Africa's 20 Most Powerful People in 2012" by Forbes magazine. In addition, New African magazine featured him in their list of the "100 Most Influential Africans in Business". He was awarded an honorary doctorate of science degree from Benue State University and an honorary doctorate of business administration from the University of Nigeria, Nsukka. In 2013, Elumelu received the Leadership Award in Business and Philanthropy from the Africa-America Institute (AAI) Awards. He was also named African Business Icon at the 2013 African Business Awards. ESI-Africa, frequently described as "Africa's power journal", named Elumelu in its 2015 "ESI Most Influential Figures in African Power" list, in January 2015. At the 5th edition of the annual Economic Forum of the Ivorian National Council of Employers, CGECI Academy, (CGECI) in Abidjan in April 2016, he was awarded a Lifetime Achievement Award.